2,276 pages | 280 B/W Illus. 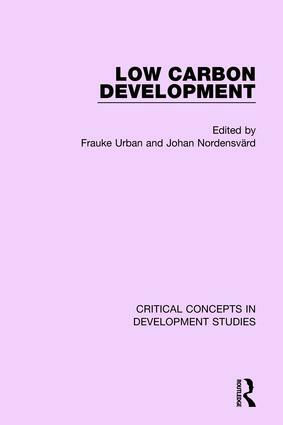 M. Jakob, and J. C. Steckel, ‘How Climate Change Mitigation could Harm Development in Poor Countries’, WIREs Clim Change,2013. J. Alcamo, P. Mayerhofer, R. Guardans, T. Van Harmelen, J. Van Minnen, J. Onigkeit, M. Posch, B. De Vries, ‘An Integrated Assessment of Regional Air Pollution and Climate Change in Europe: Findings ofthe AIR-CLIM Project, Environmental Science & Policy, 2002, 5, 4, 257-272.